Have a lot of content that you want to show on the same page? Separate it with tabs. 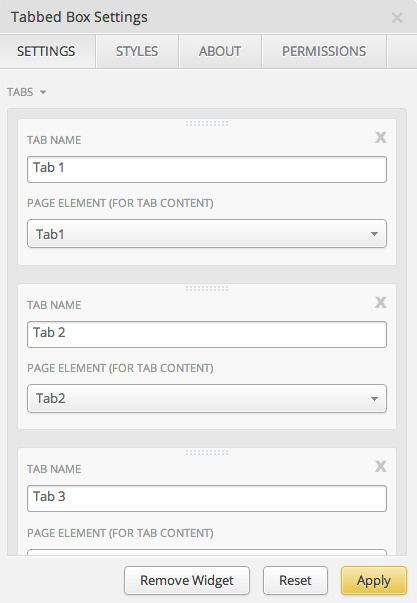 To use this widget, create the content for each tab in separate page elements. Then in the widget, select each page element. Examples. Give users examples of how to fill out form, write content, and so on. Organize each example in its own tab. Product categories. Place each category of product on it’s own tab. That way users can easily switch between them. Lots of content. In situations where you have a lot of content, tabs help users navigate without getting overwhelmed.